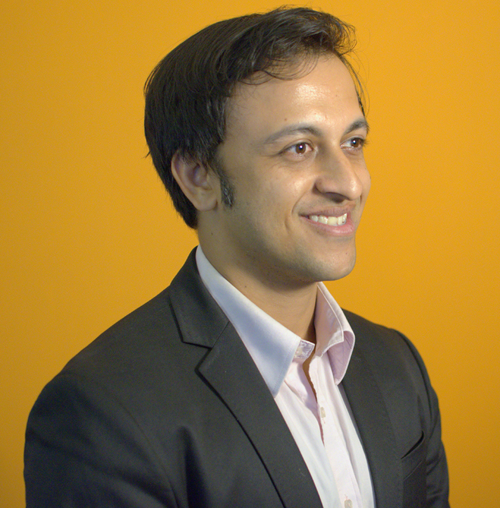 Prantik is a Managing Partner at Happy Marketer, who leads the firm’s Social, Mobile & Display Advertising practice. He sits on the Global Digital Board of Time International, a leading luxury chain in Asia. He believes that businesses & brands must leverage social beyond just tactical marketing campaigns and maximize its potential across an entire organization. He specializes in implementing data-driven digital campaigns for marketing, customer service & online reputation management. He conducts corporate training to evangelize the digital medium and helps clients incorporate digital strategies that align with their business objectives. His academic pursuit in the domain of computer engineering & technopreneurship at NUS sowed the seeds of entrepreneurship, which added wings to his passion for creating, shaping and managing ventures. [expand class=””firsts title=”read more..”] His initial years in the technocratic Singapore government strengthened his belief and capacity to manage his own enterprise in the knowledge academy. Prantik regularly contributes to the Happy Marketer blog and has written for publications such as Marketing Magazine, Campaign Asia and the Singapore Business Review. He has spoken at regional conferences such as ad:tech & iMedia and was awarded the Young Entrepreneur Award at the Global Youth Marketing Forum in Mumbai in 2014. When not with clients, he can be found either enjoying a game of cricket or chatting about sports, politics or public policy. He believes that’s what keeps his Klout score at 69!